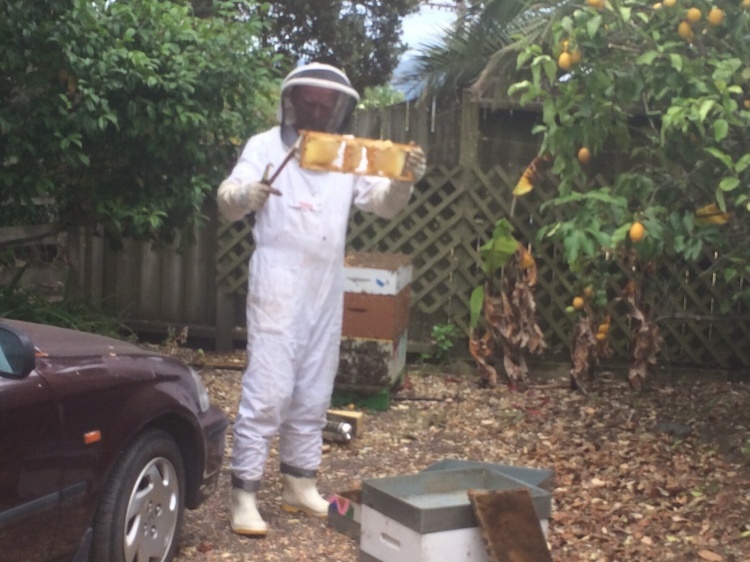 Recently Rick our bee keeper came to check out our bees and take off the summer honey. I had been telling him that I thought there was a lack of general activity campared to past years around the hive. 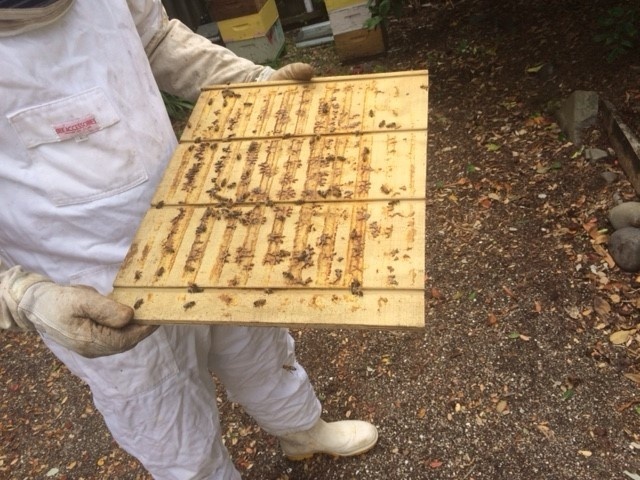 Normally there is a whole lot of activity in spring and summer in the vicinity of the hive - its like a race track as the bees come and go but this season for whatever reason there appeared to be much less. On checking he found several things.We have a new queen and the previous queen had done a runner taking many of the bees with her. 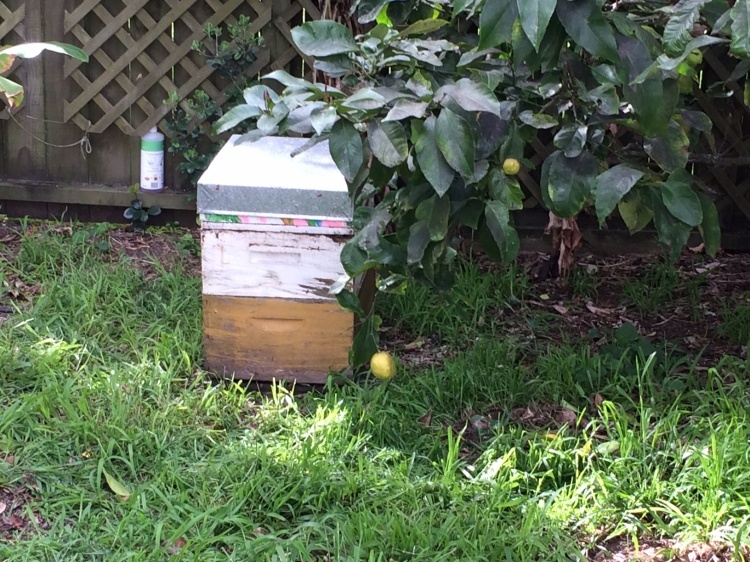 The good news is the new queen is producung new bees in plentiful numbers and the hive is up and away again. With the previous queen leaving our hive got robbed of its honey by other bees and the new queen has brought her harem of bees and taken up residence - we are grateful for that with numbers of young bees ( brood) well on the way back up.